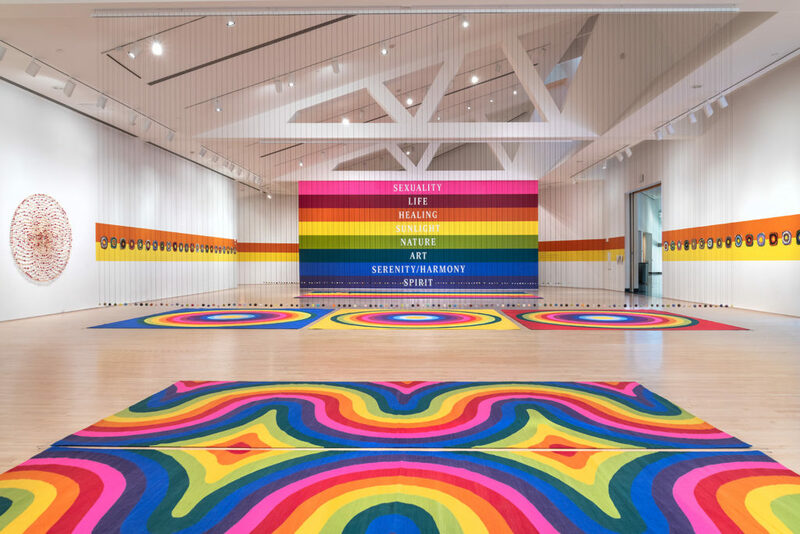 Polly Apfelbaum’s exhibition, Waiting for the UFOs, at the Kemper Museum of Contemporary Art envelops visitors in a gleeful mood that is hard to avoid even if one lacks an affinity for strong colors. Its large open space is punctuated by polychromatic ceramic targets, clay beads, and woven rugs. Concentric circles, undulating motifs, and horizontal bands, coated in a rainbow of color, are just a few of the elements that give structure to this eclectic installation. 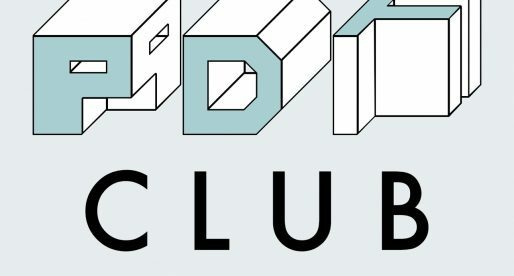 Merging the poetics and politics of gender, Apfelbaum sets up an otherworldly space that symbolically reconciles differences. She suggests that just as aesthetic balance can be reached through the juxtaposition of seemingly incongruous colors and patterns, peaceful co-existence and gender equity are achievable goals that cannot be deferred. 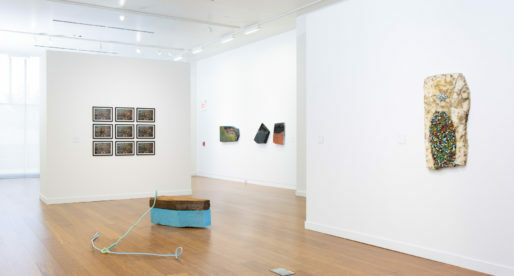 Installation view, Waiting for the UFOs (a space set between a landscape and a bunch of flowers), January 24–April 28, 2019, Charlotte Crosby Kemper Gallery, Kemper Museum of Contemporary Art, Kansas City, Missouri. © 2019 Polly Apfelbaum/Artists Rights Society (ARS), New York, and courtesy of the artist, Alexander Gray Associates, New York, Frith Street Gallery, London, and Galerie nächst St. Stephan Rosemarie Schwarzwälder, Vienna, Austria. Photo by E.G. Schempf. 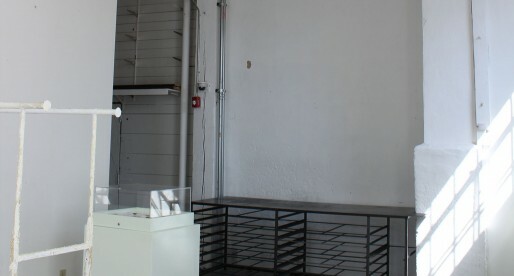 The exhibition title, Waiting for the UFOs, references one of Graham Parker’s songs from the late 1970s. Its lyrics imagine an alien invasion that may help humans discover their own otherness as they approach the brink of extinction after extensively relying on institutions that regulate their lives and beliefs. Taking after punk rock music, Apfelbaum confronts viewers with a powerful rhythm conveyed by notes of jarring yellow, hot pink, and cobalt blue. One would find these throbbing colors disruptive were it not for the unified aesthetic of the exhibition, and the hopeful expectation it transmits. 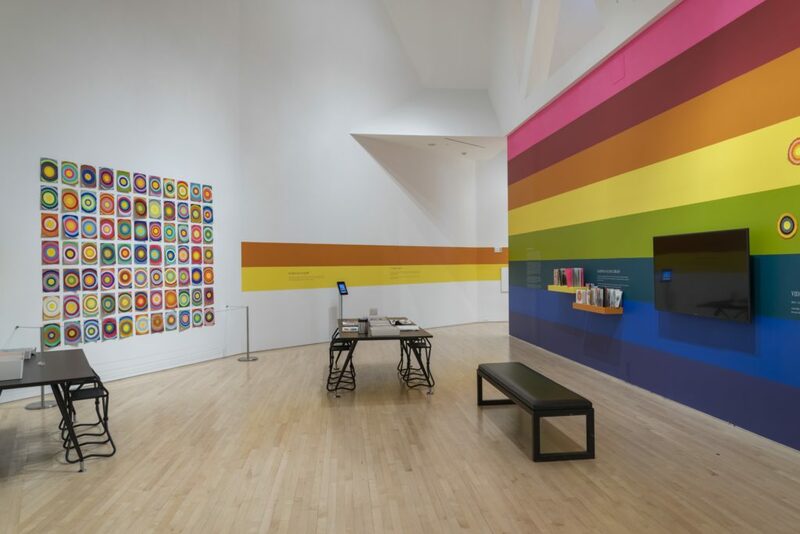 To make her color-coded message sink in even further, Apfelbaum chose to paint a wall in the color bands of Gilbert Baker’s 1978 gay pride flag, pairing each of them with values such as sexuality, life, healing, sunlight, nature, art, serenity/harmony, and spirit. 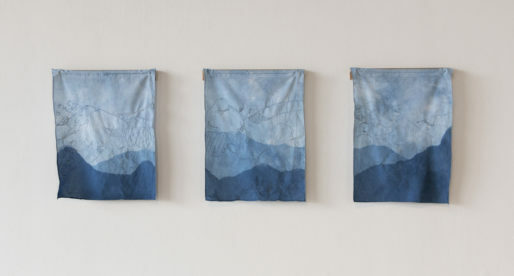 While she has often dabbled in conceptual play by choosing work titles that expand the connotations of her practice, up to now Apfelbaum has avoided integrating actual text in her works. Perhaps she feels that somber times, when LGBT and women’s rights are increasingly menaced, call for more explicit political gestures. Yet, this exhibition does not stop short at this message that might seem overly didactic. It conveys longing for a welcoming space where identity categories dissolve and we come face to face with our inscrutable otherness in relation to other cosmic beings. 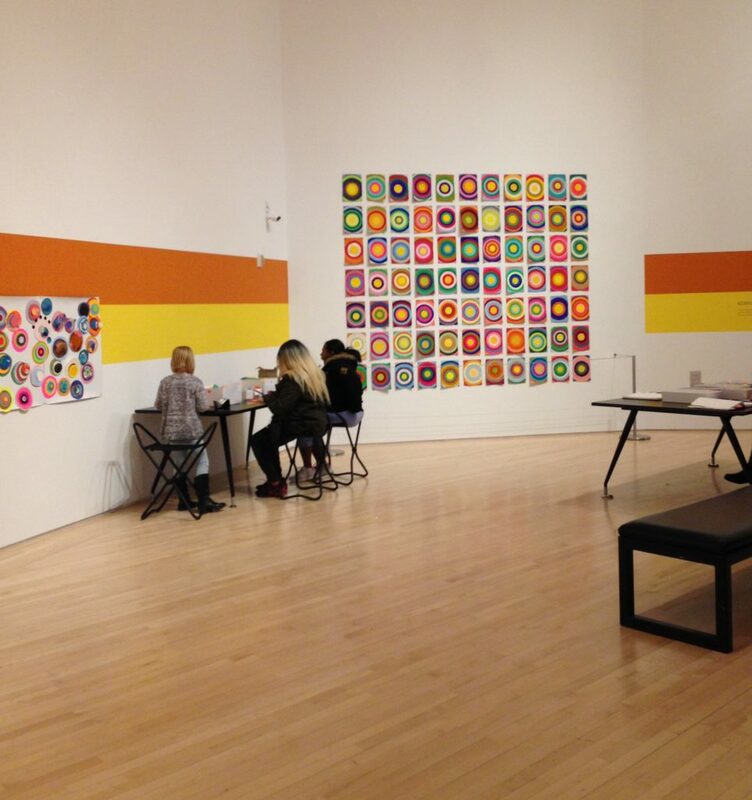 Visitors utilizing Kemper Museum’s education space with Sun Target Drawings, 2018, in Polly Apfelbaum: Waiting for the UFOs (a space set between a landscape and a bunch of flowers), January 24–April 28, 2019, Charlotte Crosby Kemper Gallery, Kemper Museum of Contemporary Art, Kansas City, Missouri. © 2019 Polly Apfelbaum/Artists Rights Society (ARS), New York, and courtesy of the artist, Alexander Gray Associates, New York, Frith Street Gallery, London, and Galerie nächst St. Stephan Rosemarie Schwarzwälder, Vienna, Austria. Photo by the author. 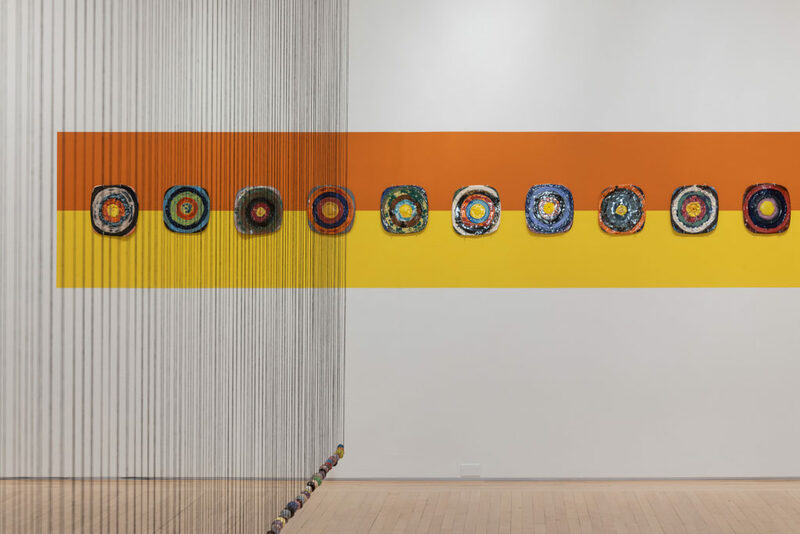 Modeled after planets and constellations, 135 colorful ceramics called Sun Targets (2018) are arranged against a vibrant orange and yellow band stretching across several gallery walls. Diverse in terms of color combination and surface texture, they feature concentric circles radiating from a yellow center connotative of solar energy. To the pulsating visual rhythm of the targets surrounding the room, Apfelbaum counterposed the sensation of suspense evoked by hundreds of beads hanging from the ceiling and the feeling of lightness emanating from the smooth surface of floor rugs. Motion is inferred and deferred at every step. One cannot help but envision the beads knocking against each other, as in Newton’s cradle, or picture the geometric patterns on the rugs becoming animated. The beads were inspired by the artist’s growing fascination with glazed terracotta at the time of her visit to Italy. The rugs also bear connections to another cultural space. Based on traditional Mexican dyeing techniques, they were woven in Oaxaca at the artist’s direction. 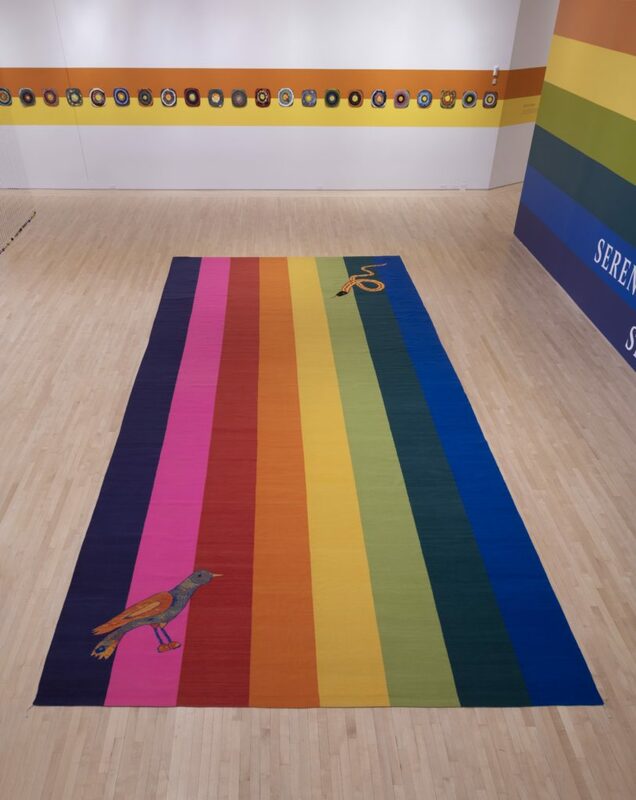 Their circular patterns and vivid colors call to mind Harmony Hammond’s Floorpieces from the 1970s which blurred the boundaries between art and craft and evoked queer spaces. 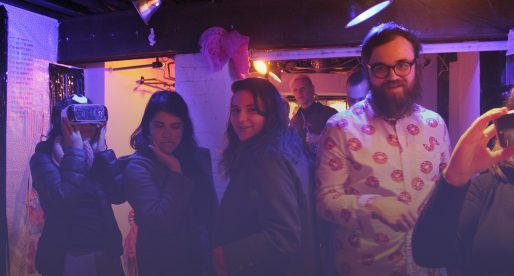 Just as Hammond, Apfelbaum has been preoccupied with overcoming binaries and undermining heteronormative codes that permeate the aesthetic realm. Kemper Gallery, Kemper Museum of Contemporary Art, Kansas City, Missouri. 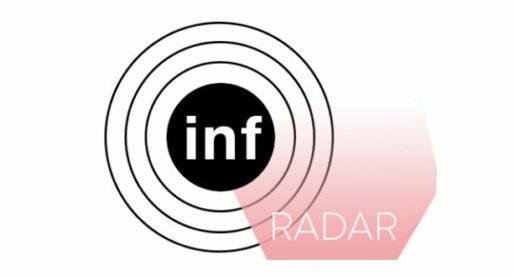 © 2019 Polly Apfelbaum/Artists Rights Society (ARS), New York, and courtesy of the artist, Alexander Gray Associates, New York, Frith Street Gallery, London, and Galerie nächt St. Stephan Rosemarie Schwarzwälder, Vienna, Austria. Photo by E.G. Schempf. The exhibition also features a series of 77 gouaches on paper titled Target Drawings (2018). 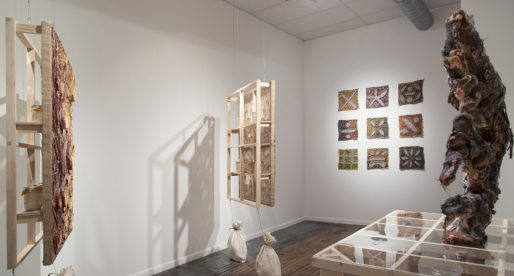 These are exhibited in a significantly smaller adjacent gallery which serves as the art education space. 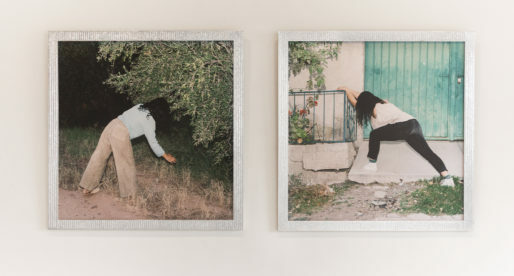 Apfelbaum’s decision to display these works in this context attests to her desire to undermine hierarchies. Thus, painting, the most privileged artistic medium, comes closer to craft and the do-it-yourself aesthetic, especially since these works portraying concentric circles are unframed and lack a label indicating that they were produced by Apfelbaum. Through the pulsating vibration they evoke, the Target Drawings are reminiscent of the virtual movement of Op art. They also recall Josef Albers’s prolific inquiry into color perception and Kenneth Noland’s color fields reverberating with energy. 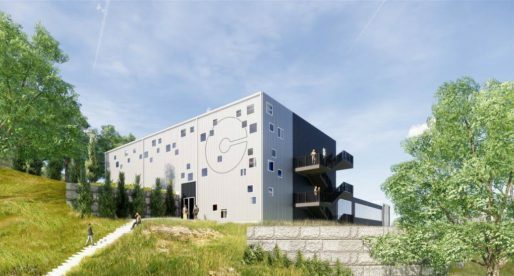 All the exhibition components evoke a cyclical time that pertain not only to celestial bodies but also to human existence. 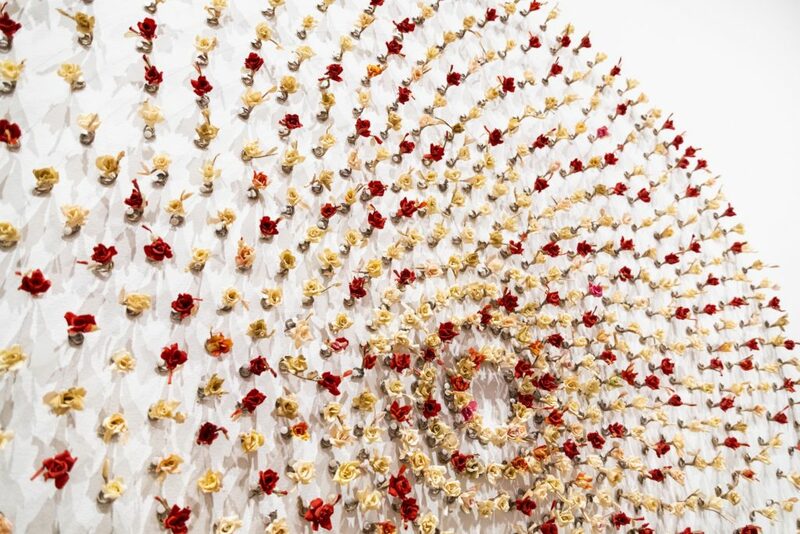 Apfelbaum’s decision to include in this exhibition her Wallflowers (Mixed Emotions), a mandala wall piece made of paper roses dating back to 1990, is also a testament to this motif of the eternal return. It speaks to the resilience of women despite continued objectification and abuse. This earlier work is also thematically consonant with the subtitle of the exhibition “a space set between a landscape and a bunch of flowers” – a quotation of René Magritte’s definition of a garden. Its pairing with the UFO reference in the title may seem perplexing until one considers how both alien spaces and gardens tie in with a desire for escapism. The sole figurative elements embellishing the rugs – a serpent and a bird found at opposite edges of Halfpipe (2018) – further enhance this association with a garden by reminding visitors of the antagonistic forces which are at play even in paradise. 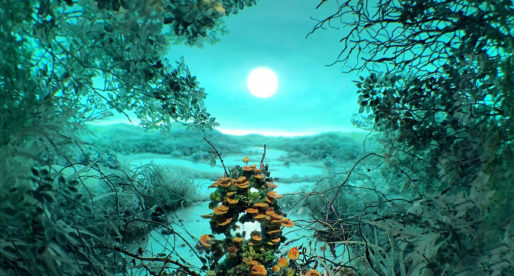 This may be Apfelbaum’s way of suggesting that tension subsists even in seemingly harmonious realms and the full spectrum of differences can only be maintained if we see ourselves as others – aliens inhabiting a planet that derives its energy from a distant star illuminating many other cosmic bodies. and Galerie nächst St. Stephan Rosemarie Schwarzwälder, Vienna, Austria. Photo by E.G. Schempf.